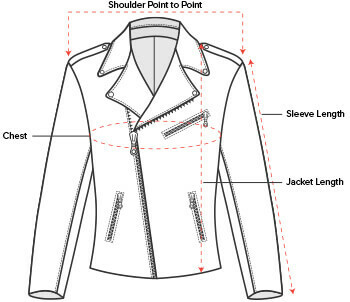 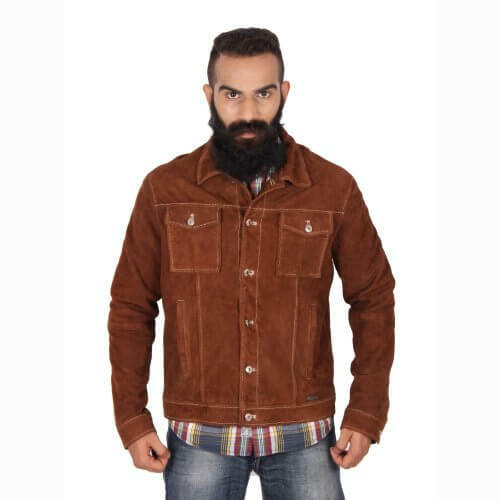 Lend a tough edge to your personality with this super manly shirt type jacket. 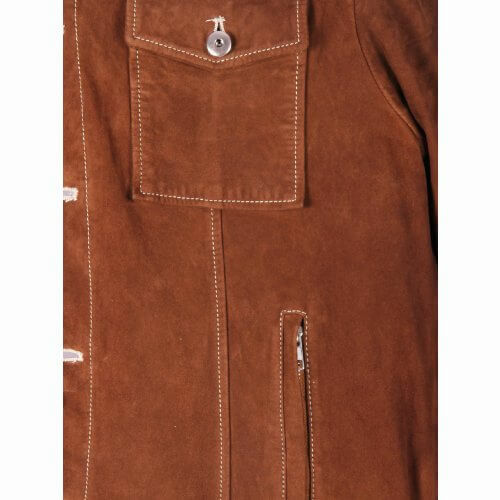 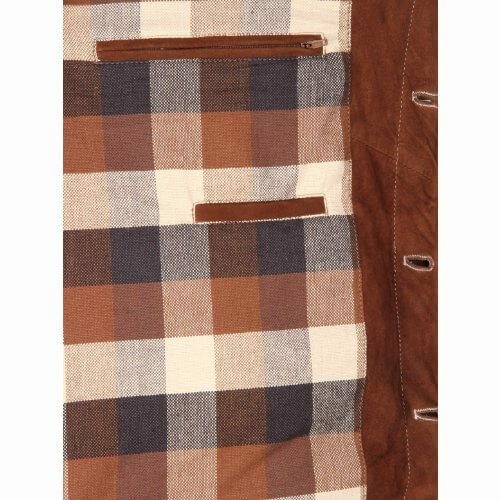 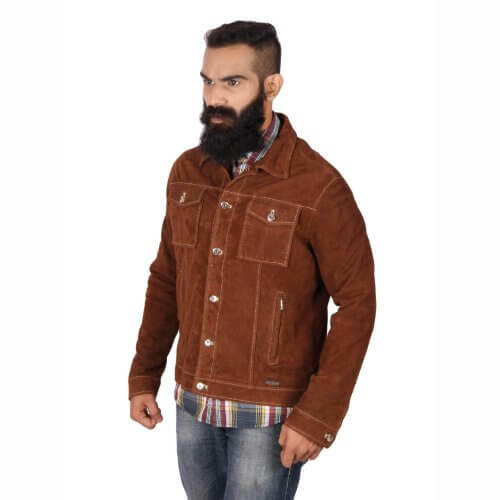 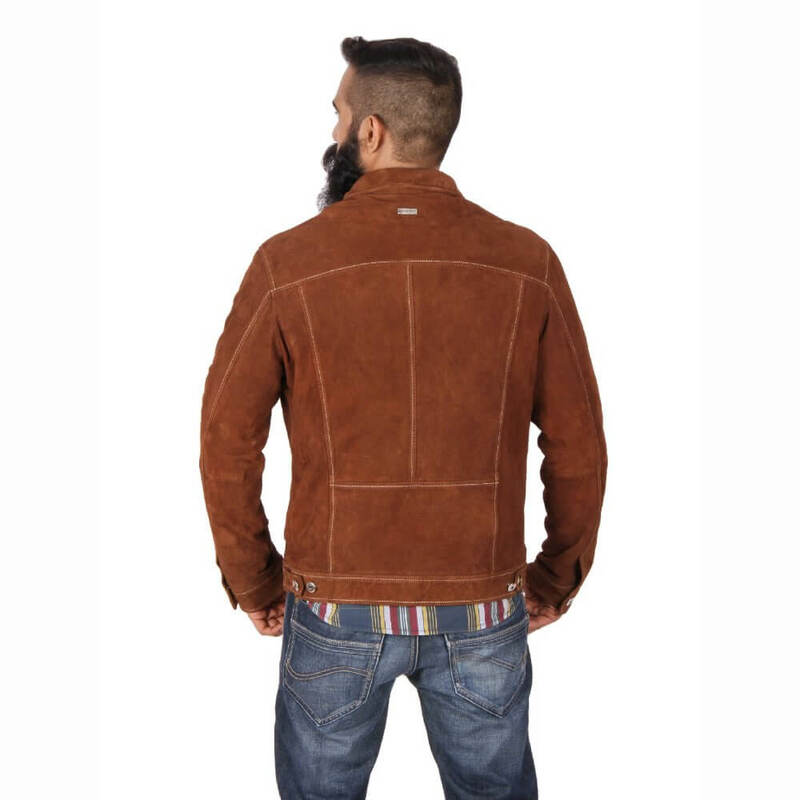 Manufactured in specially developed wood brown suede leather, the jacket has a smooth velvety texture. 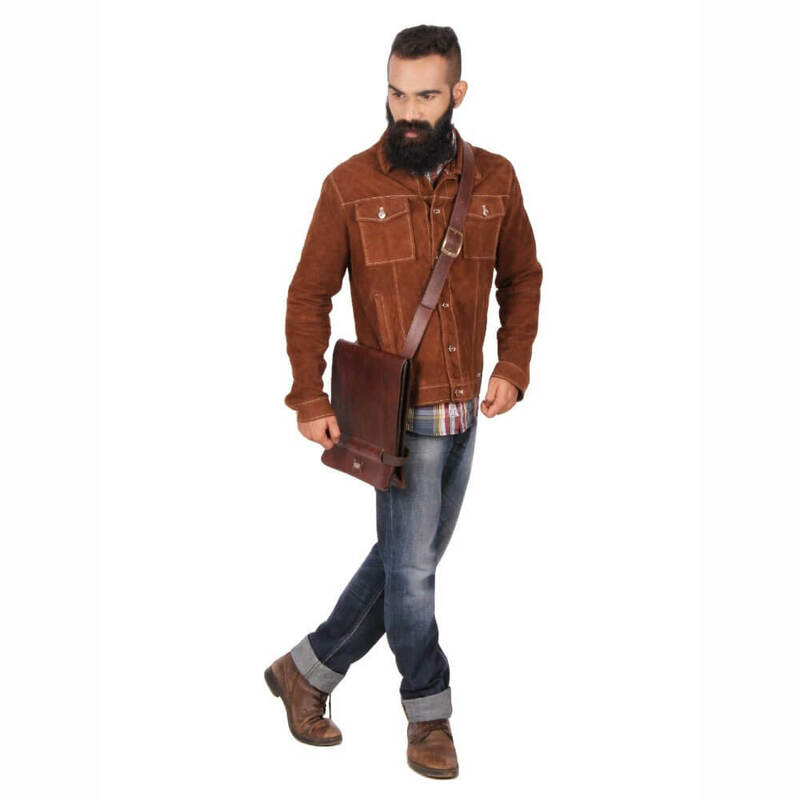 The nickel alloy hardware adds to the edginess of this jacket. Great for work, parties and the outdoors, style this leather jacket with blue jeans and a plaid shirt. 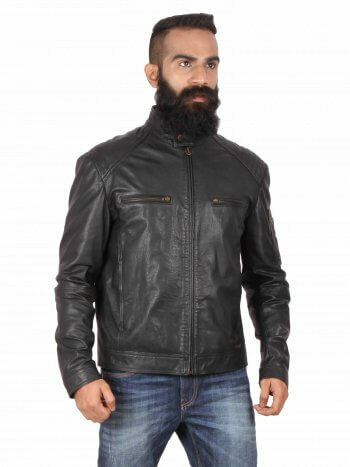 Good product and it keeps warm while riding bike and wind did not pass through. 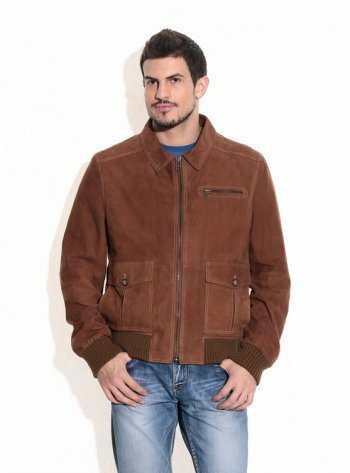 Happy with the product.